Extraordinary day! Found the bus that took me to Braga, the 3rd largest city in Portugal, after Lisbon and Porto. 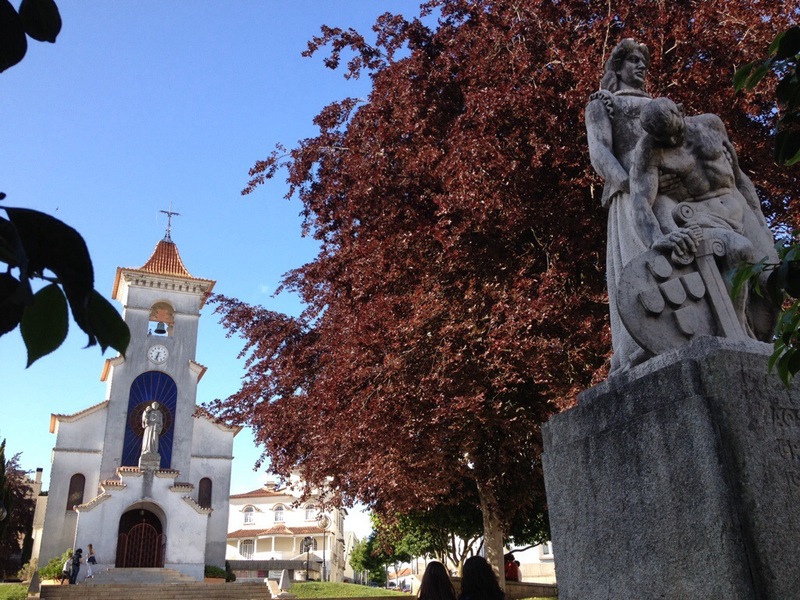 Rich in history that goes back to Roman times when it was the capital of Galicia. 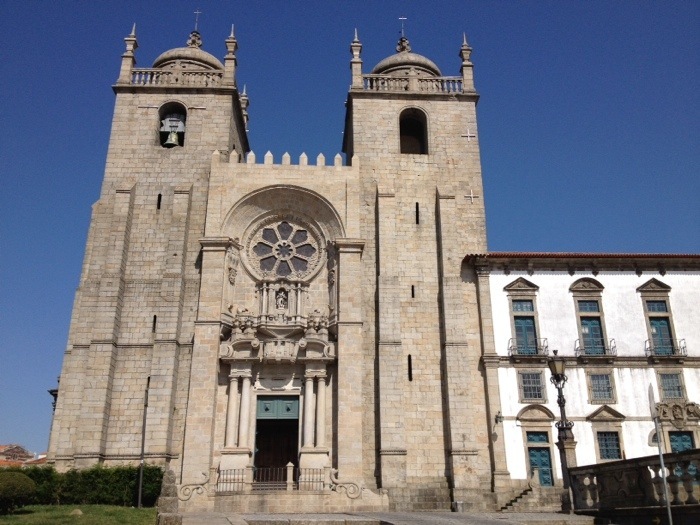 Its cathedral dates way back, but the archdiocese even further is touted as one of the oldest in the world. Couldn’t visit any of the Roman digs because on Mondays museums are closed. 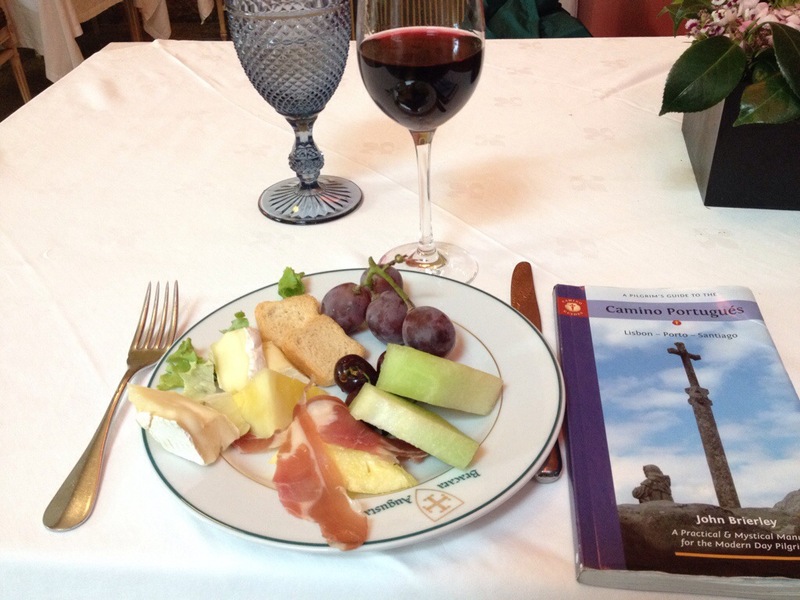 Payed Rome a tribute by lunching at the Centurion Restaurant in true Roman style–buffet with 7 courses, but I only took a picture of one of the deserts! I truly ate like a centurion. 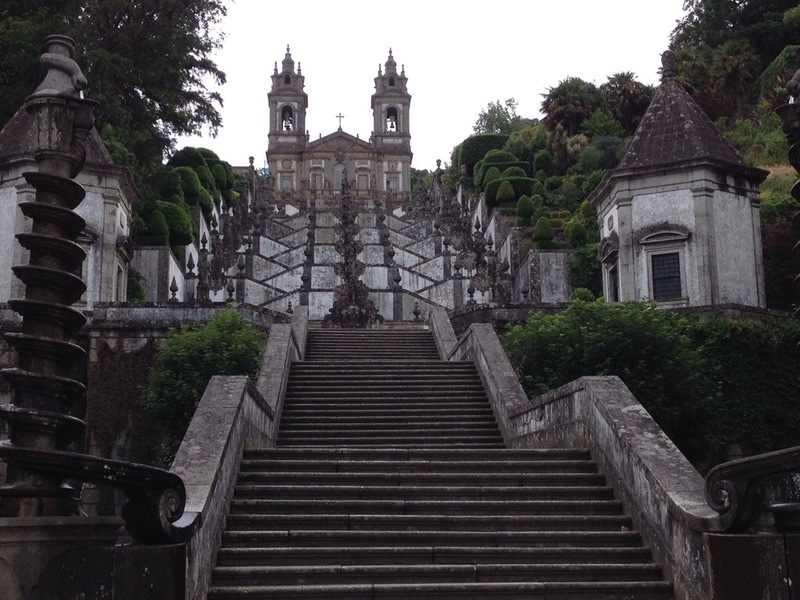 The big draw is Bom Jesus, a basilica you climb over 600 stairs to visit while passing chapels along the way that have life-size scenes of the stations of the cross. 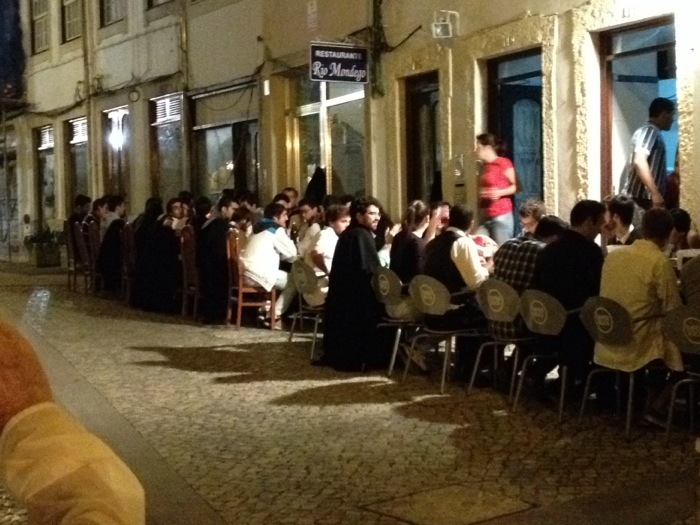 When I arrived, a tour group from just south of Vienna was celebrating mass–of course, they brought their own priest. Walked it all: 27.3 km (17 mi) over 7.5 hours and the mid-day sun. Will explore the town after my usual rituals. I’m in my cool-down mode with a beer some 50 yards from the Albuerge, which is relatively huge: 50 to 60 bunks. 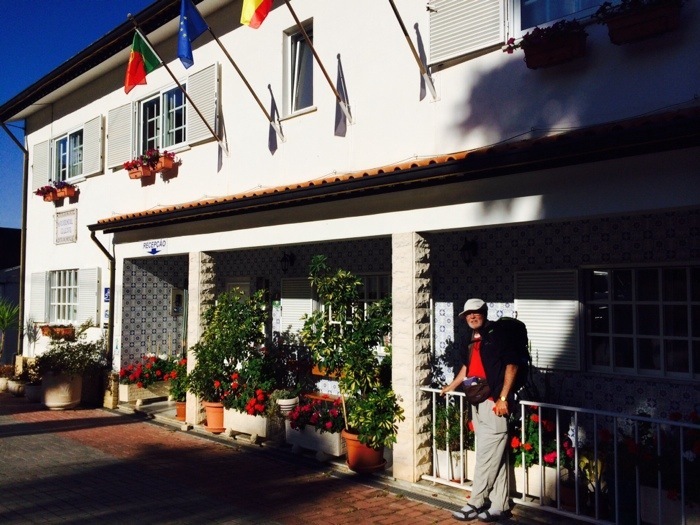 Walked 26 km (16 mi) a large part just exiting Porto, but I enjoyed it. Lots of the way was over the uneven granite cobblestones with little to no shoulder. I had to be very vigilant around the many blind curves–the bright yellow shirts would have helped. 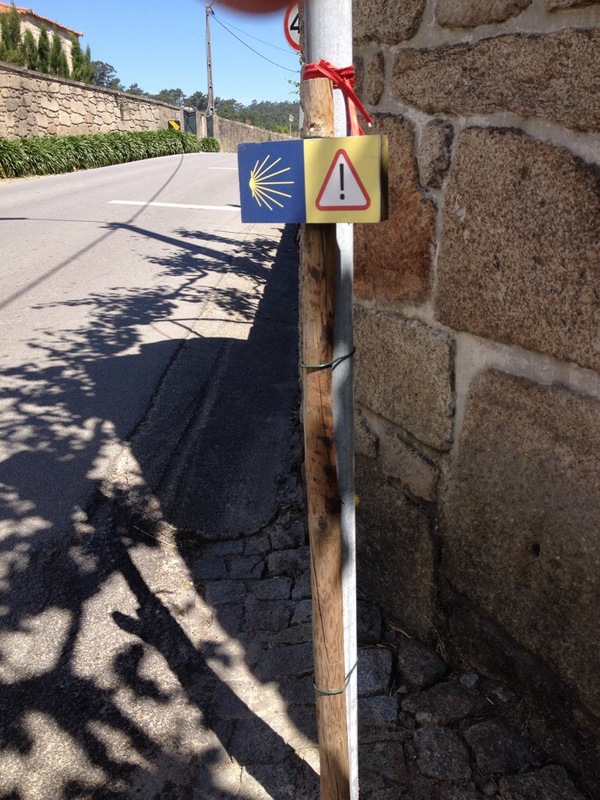 Despite all that, the Camino felt so good today. 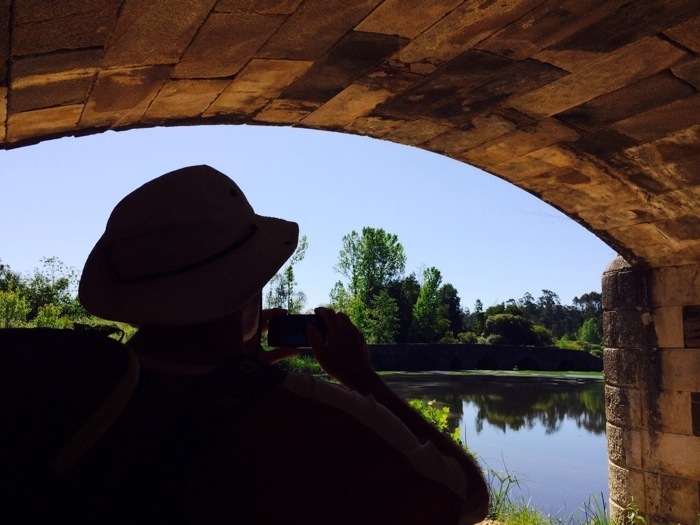 I’m in a true groove again: early to rise, fast pace, early arrival at albuerge, shower, wash clothes, BIG beer, a little rest, talk with a Pole, a Dutchman both in English, and the owner in Spanish–wow, it’s the Camino! Just one pic of the albuerge, relatively new, extra clean, and only 10€! Will eat at the cafe 20 meters away tonight. 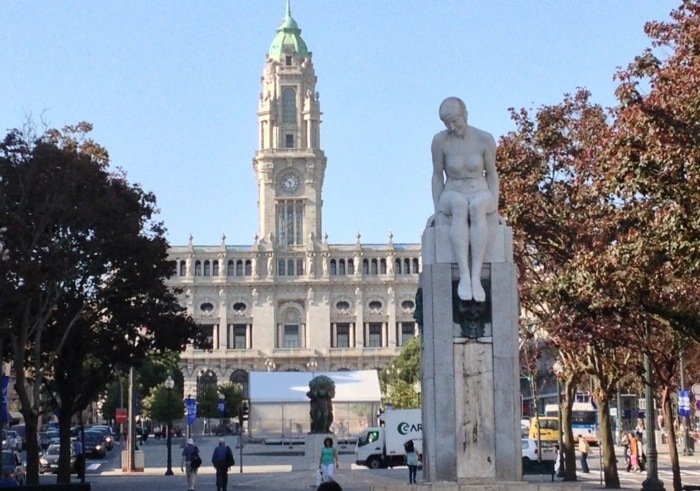 Had a wonderful day doing the Porto scene, first starting out with the double-decker hop-on/hop-off Yellow Bus historic route–two hours long. 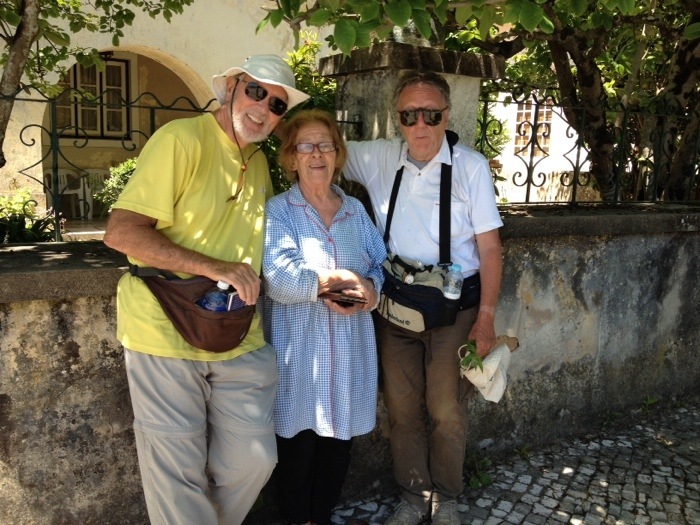 Lunch afterwards on the bank of the Douro River. 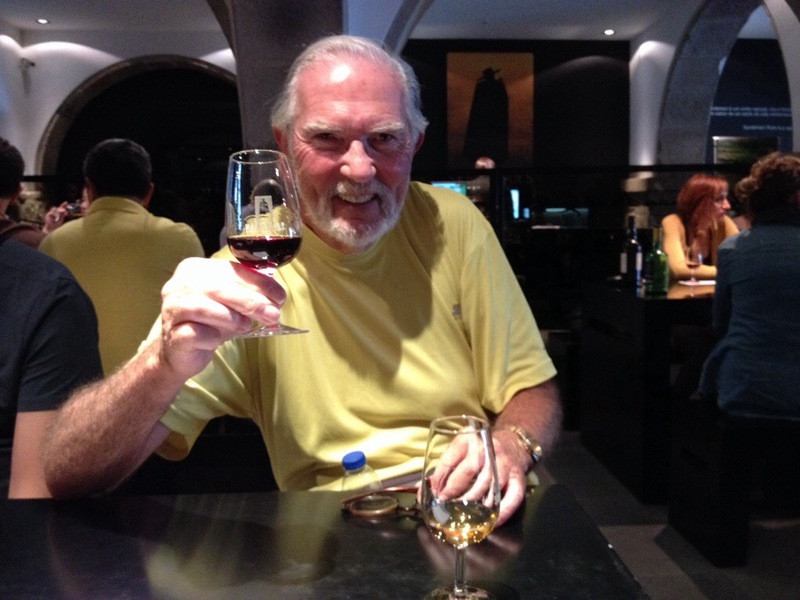 Then some more sightseeing and topped off with two Port Winery tours and tastings: Calem and Sandeman. 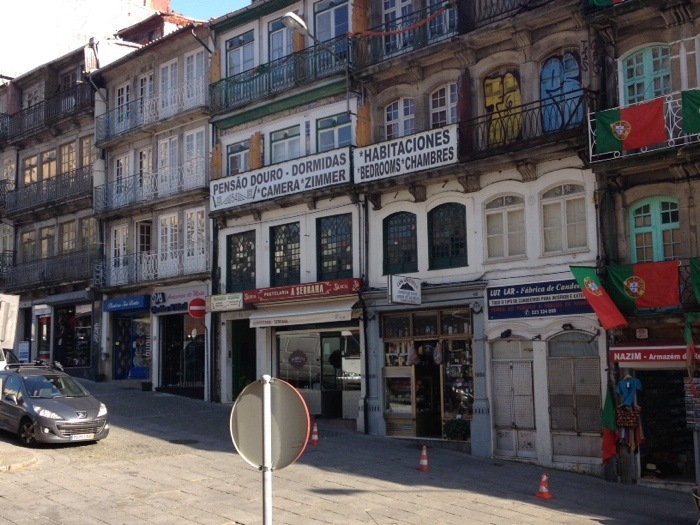 BTW, the Portuguese name of the city is Porto, whereas the English name is Oporto! Got confused myself seeing both! 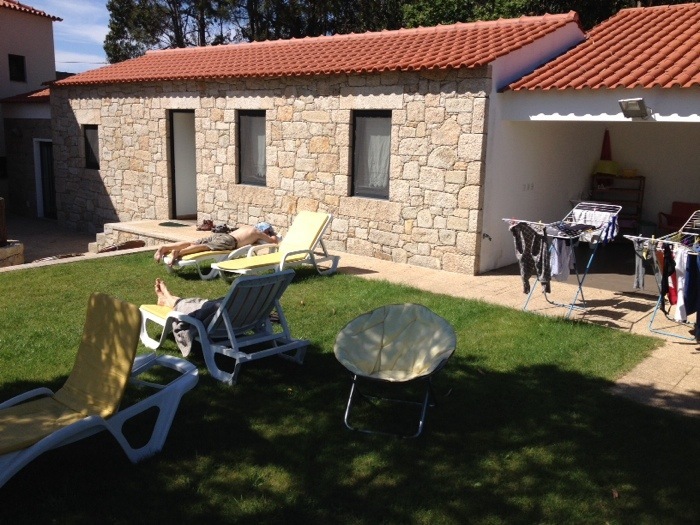 After the first round of ports, I spent a few hours just lying on the shore of the Douro and relaxing! It doesn’t get much better than that. So many beautiful sites, but only one picture: the one of me tasting port. 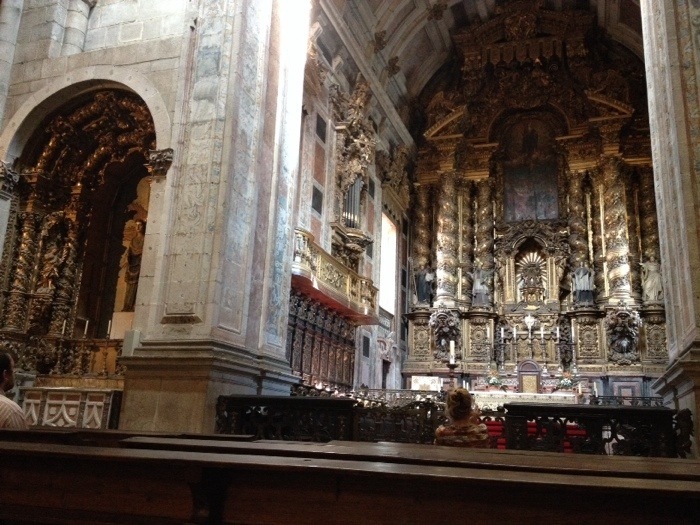 Can’t get more to the soul of Porto! 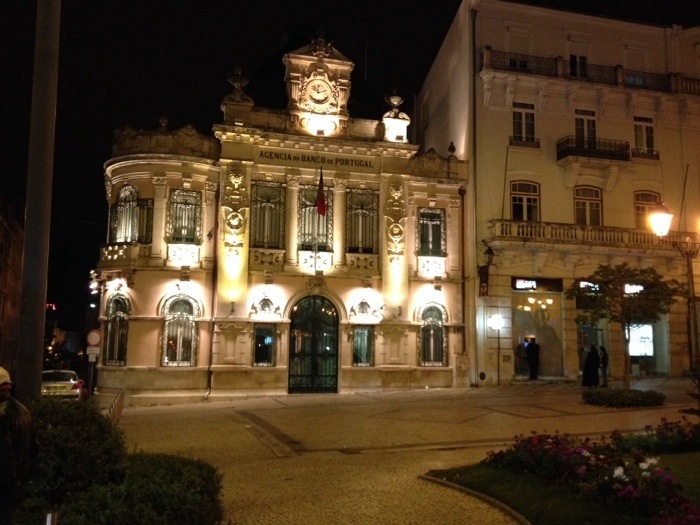 Started with a taxi ride of 7.6 km (ca 5 mi) then walked 16.2 km (ca 10 mi) then caught a bus the last portion to Porto for about 10.5 km (ca 6.6 mi). Basically, we rode more than we walked for this stage. That upset Hugo more than I realized and when we checked into our little Pension, it resulted in Jean and I parting ways. We had too many misunderstandings that could have been avoided–we’re just too different. 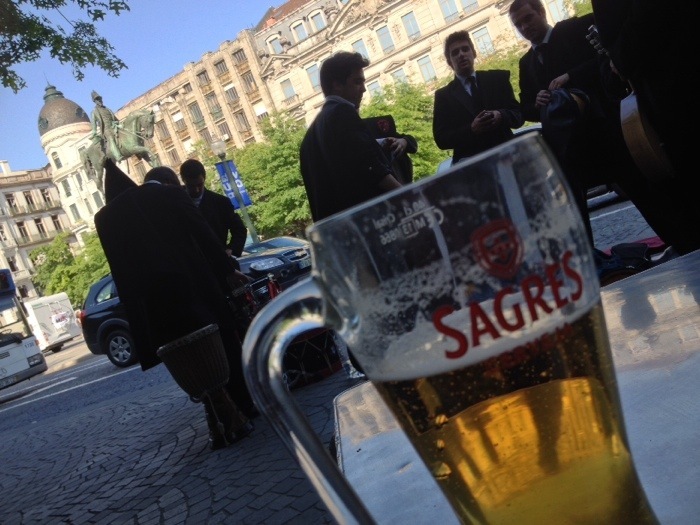 Hugo and I explored the old part of Porto: the Cathedral, Libertade Square with City Hall up the hill, and a rest in the same Square with a big beer while listening to great music by a small musical band. Plan to go to Cafe Guarany famous for their Fado music (mournful music about the sea or longing, and nowadays is always about a “loss”–so it might be serendipitously appropriate). 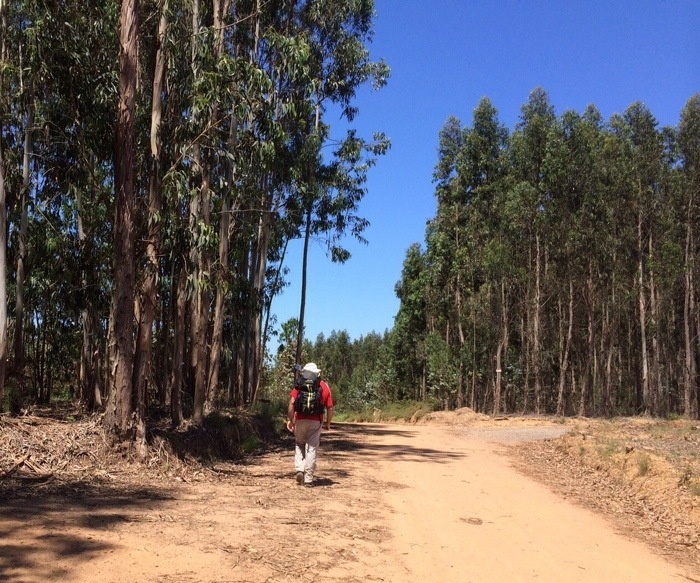 Walked the first 20 km (12.5 mi) to arrive in Oliveira still 9.2 km (6 mi) short of our goal. We were both beat so we called a taxi. It seems those climbs of 300 or 400 feet in the noon day sun just wipe us out. The town we’re staying in with 29,000 pop. has real cute character, but can’t lay my finger on describing it. It’s not touristy and not a university town. Maybe because of so much poverty it’s a mix. 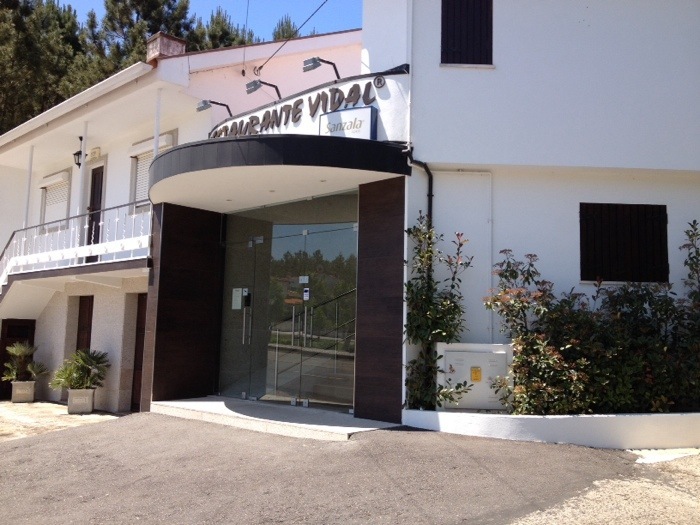 Our Residencial Hotel is well located around a plaza that has a lot of action. 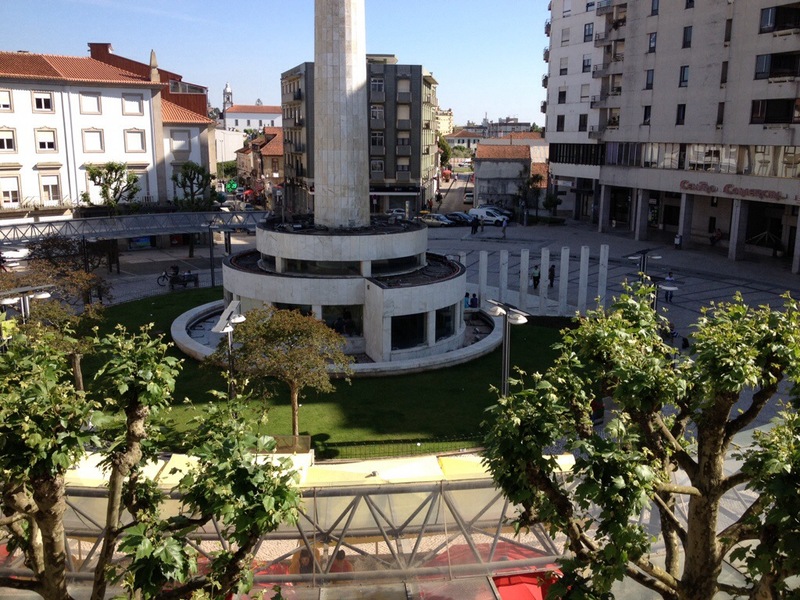 These photos are of our place and a little church a few minutes away–shot looking down is from our room. is . Hugo had a happy day–we walked the whole stage of 16 km (10 mi), not long but a fun stage. 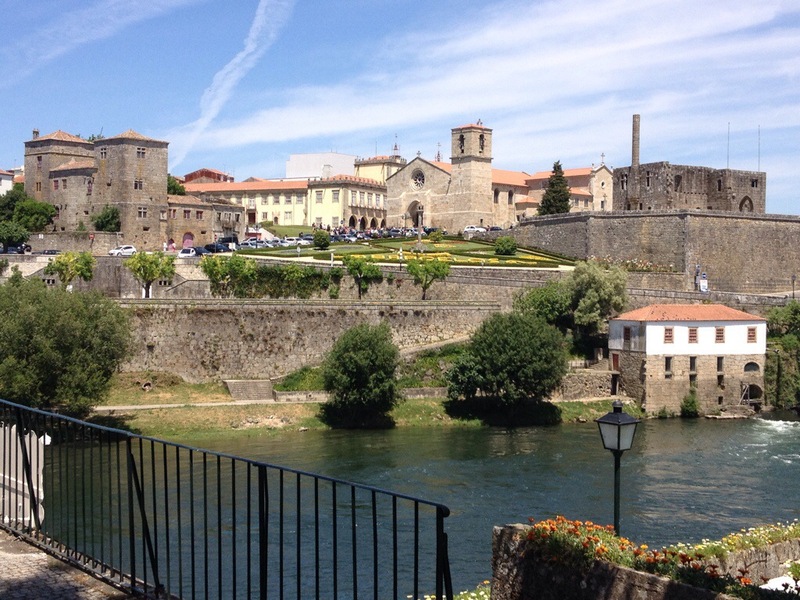 Great breakfast at the Residencial Celeste this morning; close to lunch we crossed an old Roman bridge; and at our destination of Albergaria (the old one–there’s a “nova” too) we arrived at our Pension Parente in time to do lots of laundry. 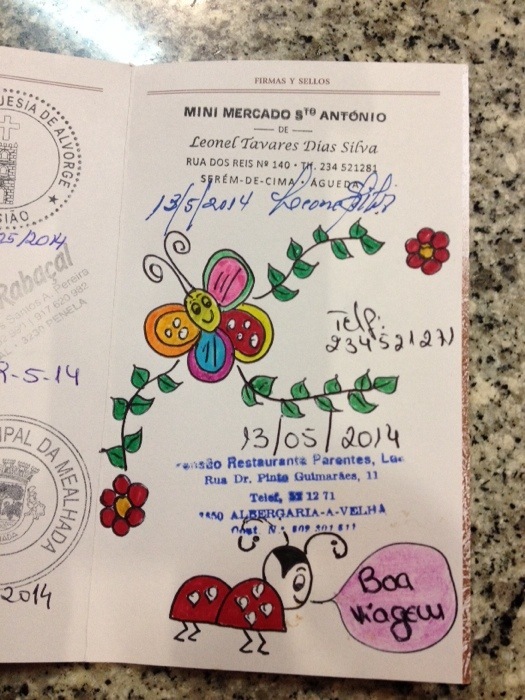 To top it off, the owner whose second language was French did the most elaborate stamp (colored by hand)–just had to take a picture of it to blog; she took one too to post on Facebook. 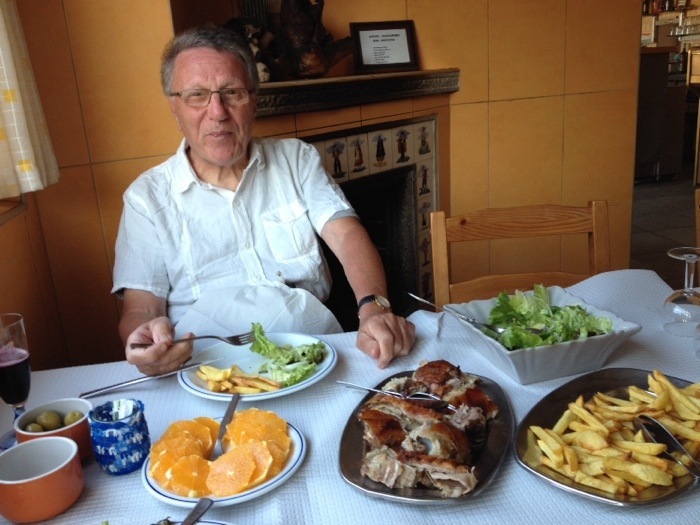 Bacalao at the pension tonight–yummy. What a day! 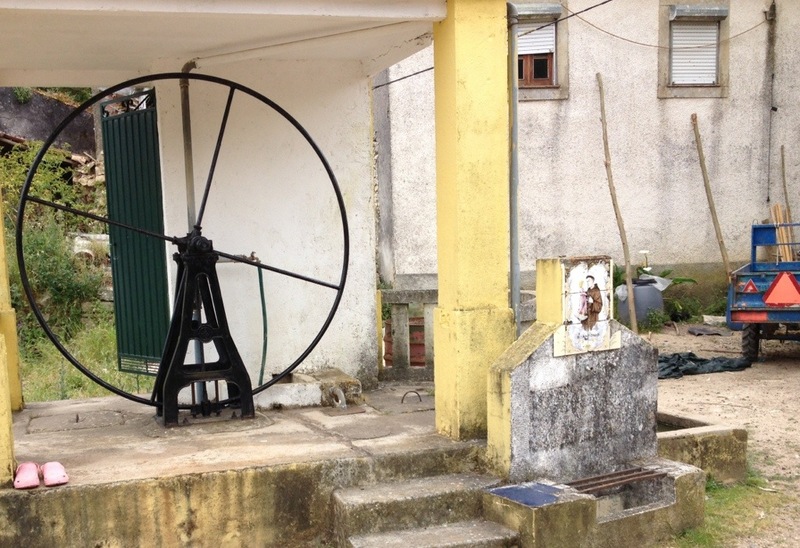 16 miles of walking and on top of that a start with the train to Mealhada, then some walking to Anadia, followed by a taxi ride to Aguada de Cima that a lovely lady in Anadia arranged. She spent a half an hour with us to help us find a specific restaurant with a superb reputation for suckling pig (Cochinillo in Sp. 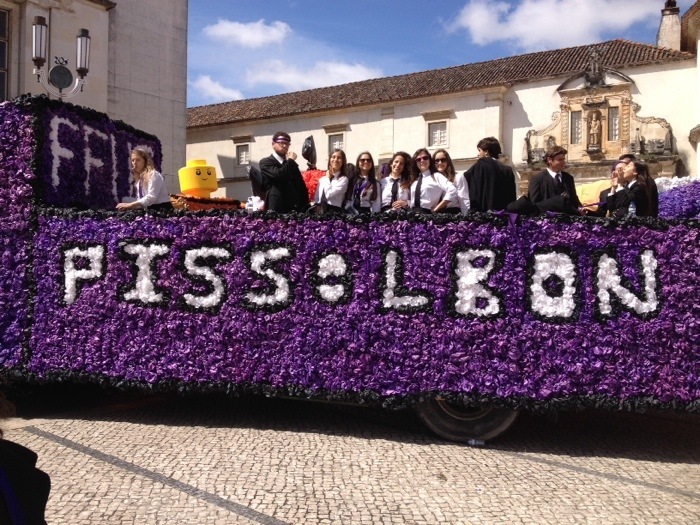 or Laitao Assado in Portuguese). We left her at the highlight of the day. We thought the restaurant was in her village, but turned out to be some 20 km further on. She arranged a taxi ride there, but we found it closed. 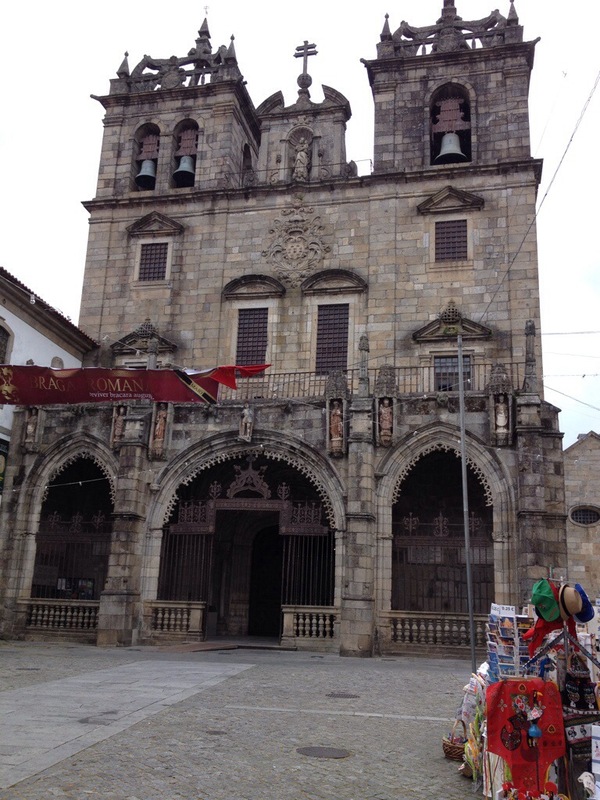 We “cried” but walked on to Agueda, our destination for the day. Nearly at our accommodations, Recidencial Celeste, we spotted a mom and pop restaurant that advertised Cochinillo–they also spoke French there. It all looked rosy again. We agreed to come back later, and he even showed us the pig as he put it in the oven. It made your mouth water! We checked into our place, got settled, and came back only to find that what we got served was an old leftover portion–cold at that. 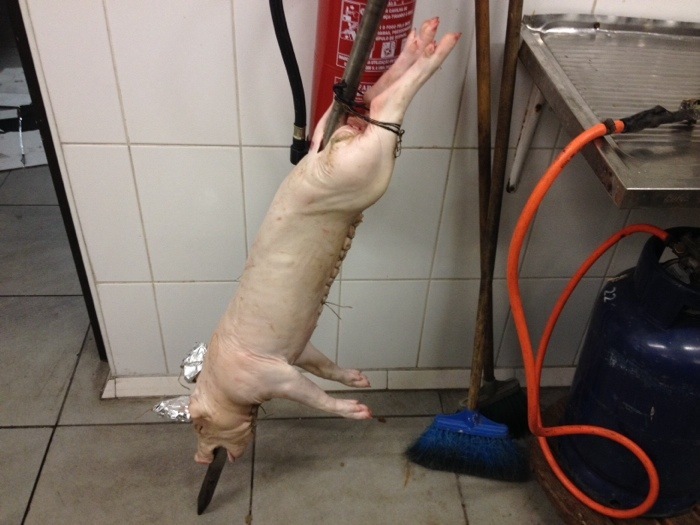 Then came two guys that bought the whole pig that we thought was destined for our tummies!!!!! Unbelievable, but true. We complained. No use. We left nearly all except the bottle of sparkling red and chalked it off to a lesson learned. 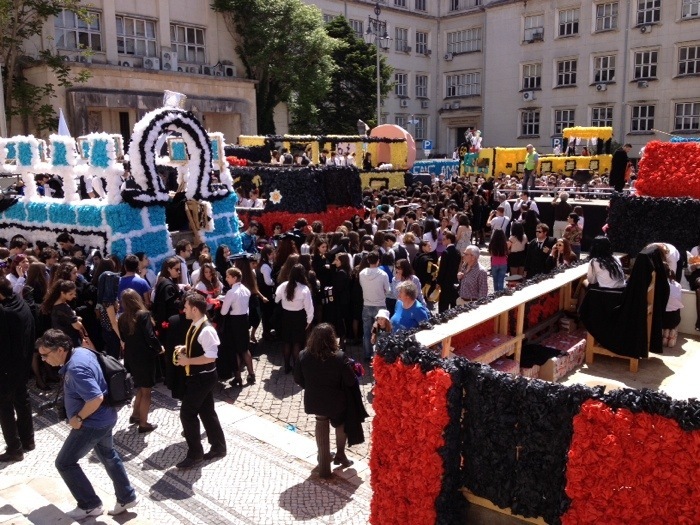 As Coimbra celebrates graduation of its university senior class, students, parents, and spectators like us revel among them in a wild and crazy parade of more than 60 floats. Most make various politically charged statements. It’s amazing to see. 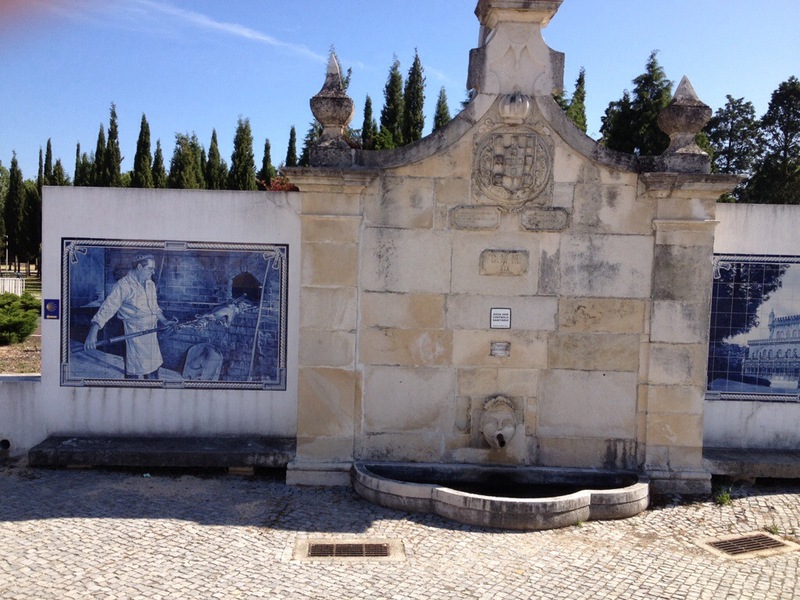 BTW, the University of Coimbra is listed as 16th oldest in Europe, dating from 1290! Check out these pics from last night and today. 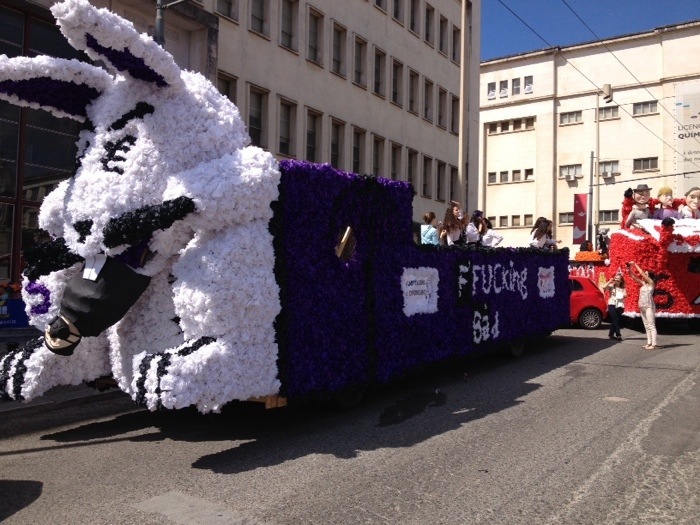 The floats here are all in the staging area on the university grounds, each packed full of beer, sodas, water, etc. Talked with many students–they’ve all learned English. SAD NOTE is that as they graduate, there are no jobs! 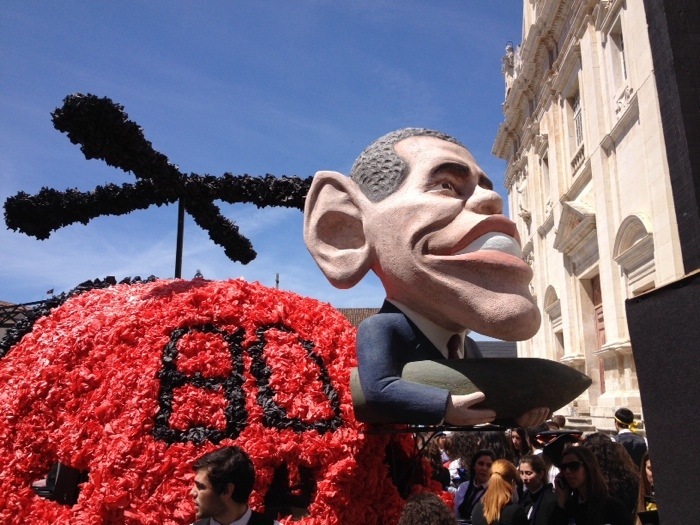 Red alert–red alert! But only for a few hours until we adjusted our plan. 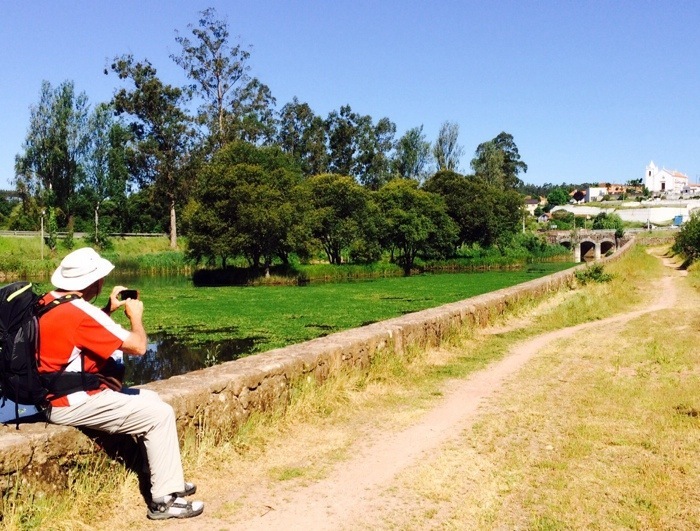 We had all intentions of walking only 16 km (10 mi) today to Condeixa-a-Nova passing through unimaginably beautiful pastoral scenes with cool weather in the valleys and mountainsides. 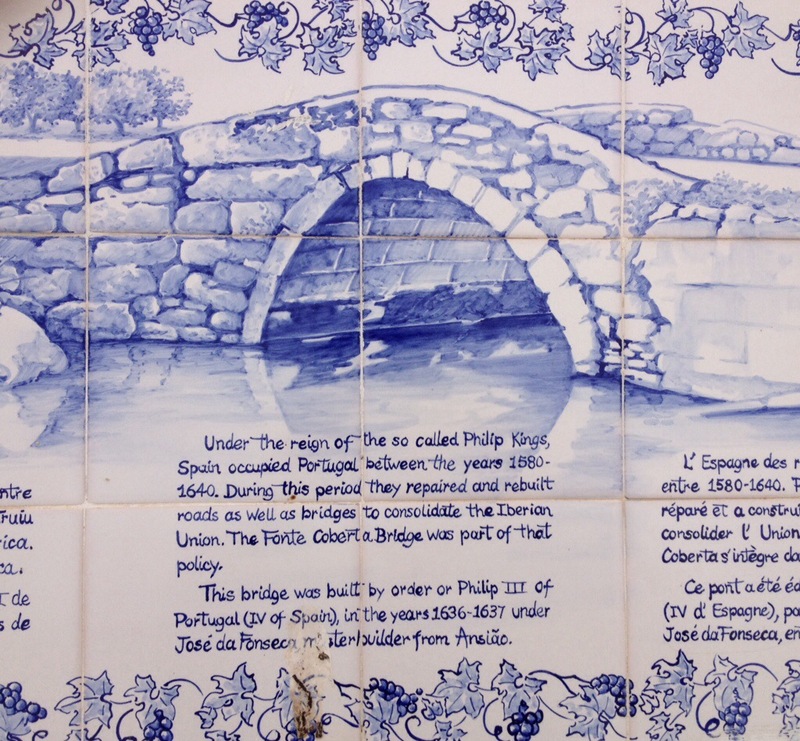 In Fonte Cuberta, the town went crazy with extravagant tile Camino markers and historical tile plaques. 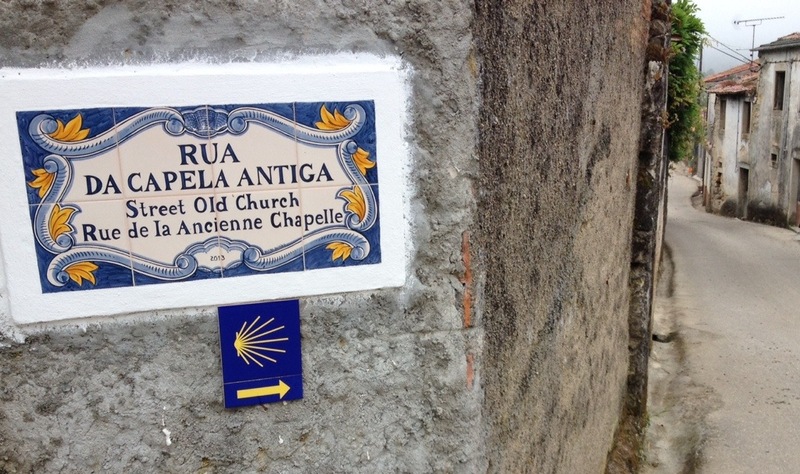 Just a few km before our goal, we passed Roman ruins we flagged for a return later on in the pm. 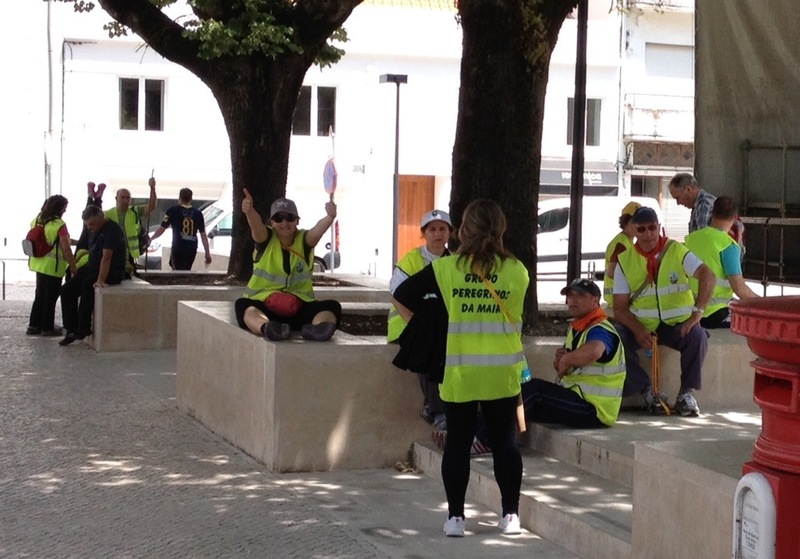 At Condeixa-a-Nova, a human tsunami came through town (literally 100s of pilgrims–most on yellow shirts and of course w/o back packs that were carried by support cars). They filled ALL the sleeping facilities! PANIC–RED ALERT! 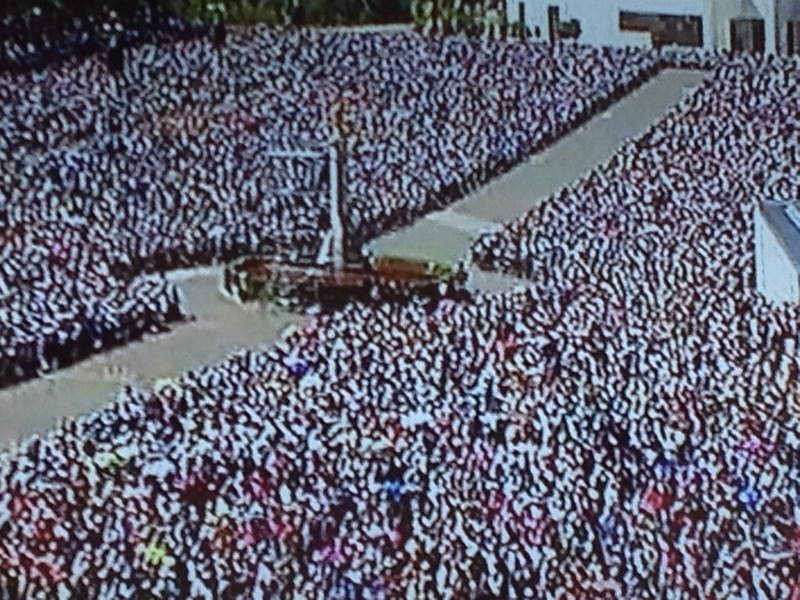 They all have to arrive at Fatima on THE BIG DAY, May 13! 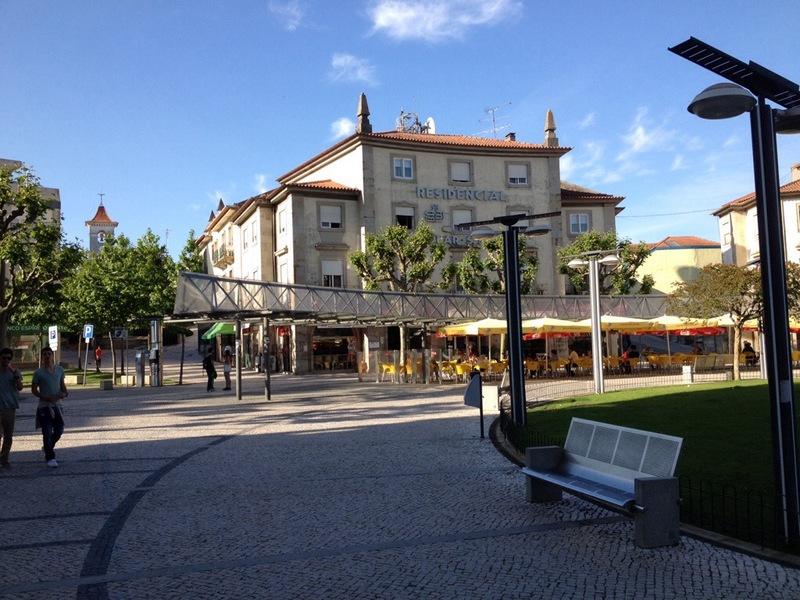 So we had lunch to think it out and decided to take a taxi to Coimbra (our next planned stop–for 2 nights at that). Lots to see in this university town (pop. 190,000)–siesta time right now.